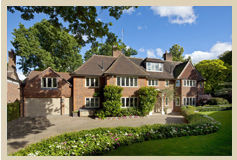 Find property in Kenwood with Glentree.co.uk -The most convenient method to search for property in Kenwood. 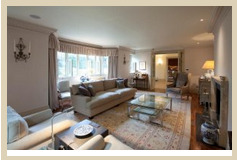 With Houses, apartment and flats available throughout Kenwood, we have a long list of luxury property for fabulous prices, to choose from. Amongst the many property services we provide, we also advise, guide and help you choose a home from our luxury property listings, which best complements your style. Located at the favoured end of Sheldon Avenue and a stones throw away from Kenwood is this well presented, modern detached family home. Internally the house boasts spacious and flexible accommodation over three floors including 4 reception rooms and a west facing garden. Read More.. Located opposite the rolling green acres of Hampstead Heath & Kenwood House and set well back from the road behind electric gates, a spacious 7/9 bedroom double fronted detached family home arranged over 3 storeys spanning 6471 sq ft (601 sq m). Read More.. Some places are destined to be unique, and a special part of North London lives up to such high praise. Kenwood is already home to many of the capital’s most beautiful houses. Now there’s a new address, a home set to become Kenwood’s jewel in the crown. Read More.. This stunning house has been the subject of a major refurbishment and provides excellent family accomodation including an indoor swimming pool and a detached gym. Read More.. This rarely available and beautifully elegant detached home brimming with character and period charm is set in one of London’s most coveted private Avenues and protected by guard operated security gates and CCTV.Read More.. The house benefits from a high level of specification including underfloor gas fired central heating; Lutron electrical system with integrated lighting and music; Cooled and humidified wine cellar for up to 2,500 bottles. Read More.. 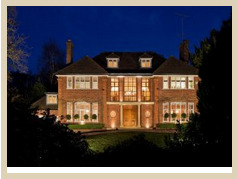 This elegant family house of 7,924 sq ft offers exceptional formal entertaining areas whilst also having the benefit of excellent informal space too. Read More..